Top Beach Destinations in the U.S. Founded in 1984, the Dolphin research center is a nonprofit marine mammal education and research facility and home to dolphins and California sea lions. WE LOVE THIS PLACE. The care they give these dolphins is amazing, including all the different lagoons that mimic their natural habitat. 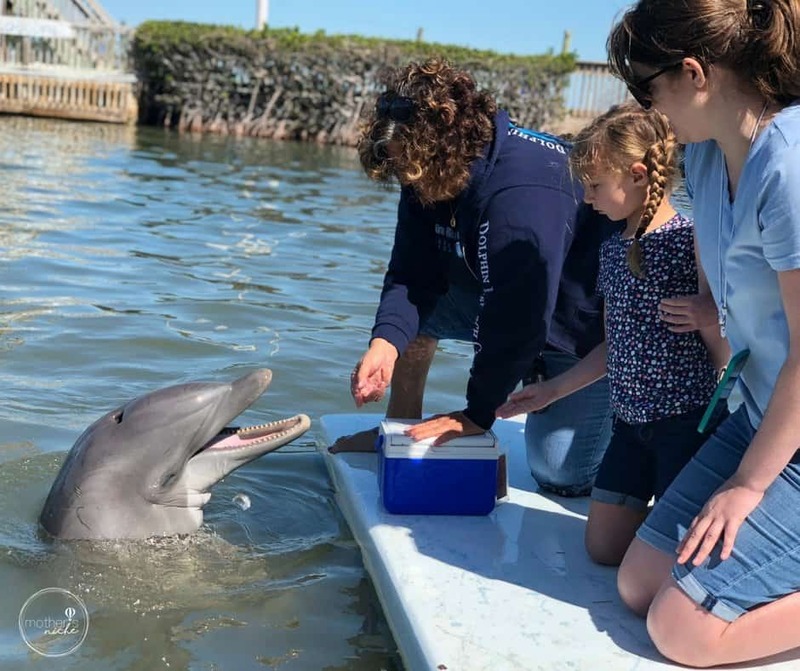 It was so fun to watch the dolphins interact with each other (and with us), and we all agreed this was our favorite experience in the Florida Keys. My daughter is convinced she wants to be a dolphin trainer and has been working on her dolphin call. 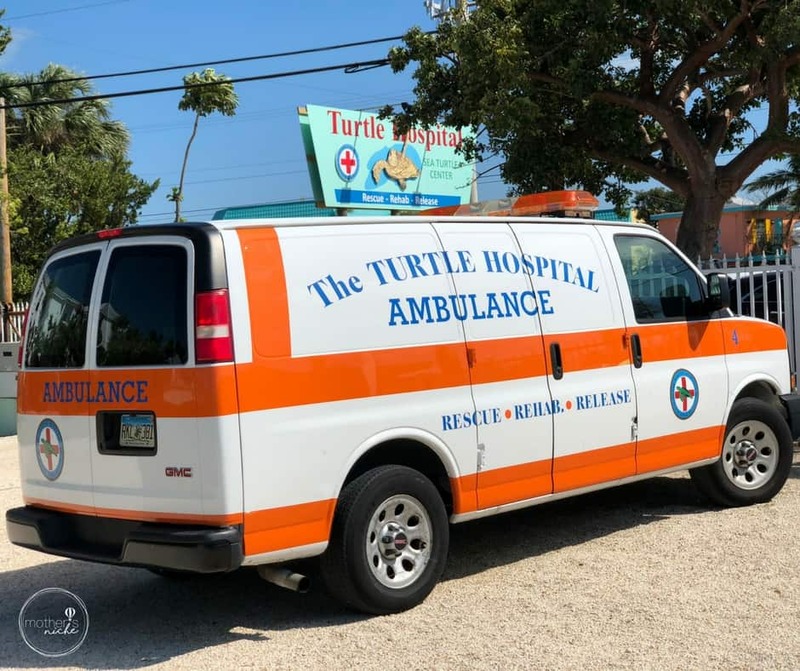 The Turtle Hospital in Marathon is the first state-certified veterinary hospital in the world for sea turtles. In a year they receive as many as 200 injured sea turtles. The turtle hospital was another favorite place for the kids, as they got to see so many different turtles close-up. The tour is very educational and enlightening, and we came away inspired by all they do to help these marine animals. In the beginning they will have al little slide show presentation for you to watch, and they have coloring and books for the kids to be entertained with during the duration of the presentation. 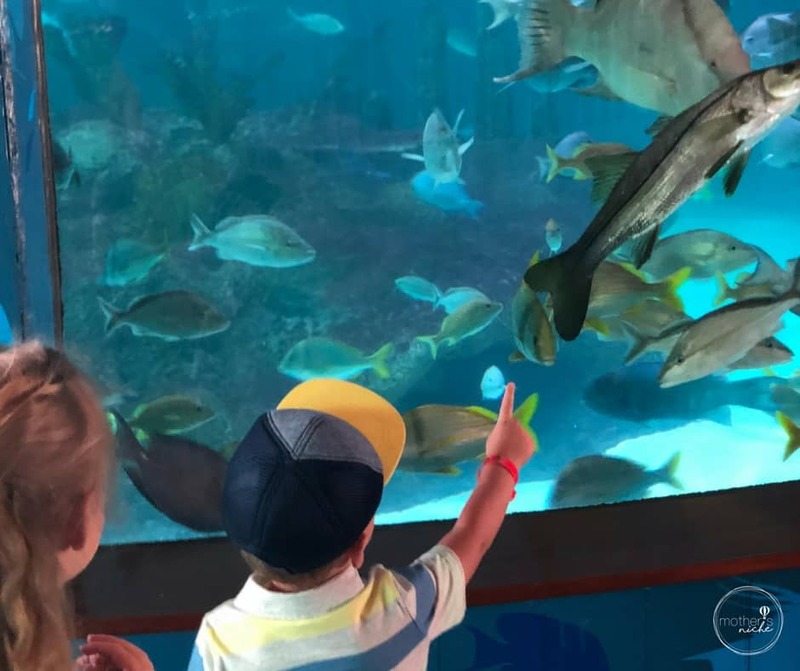 This aquarium is fairly new and gives kids (and adults) a great opportunity to interact with not only sea life and sharks, but also baby alligators! They have a variety of encounters you can sign up for as well, including diving in the main tank! 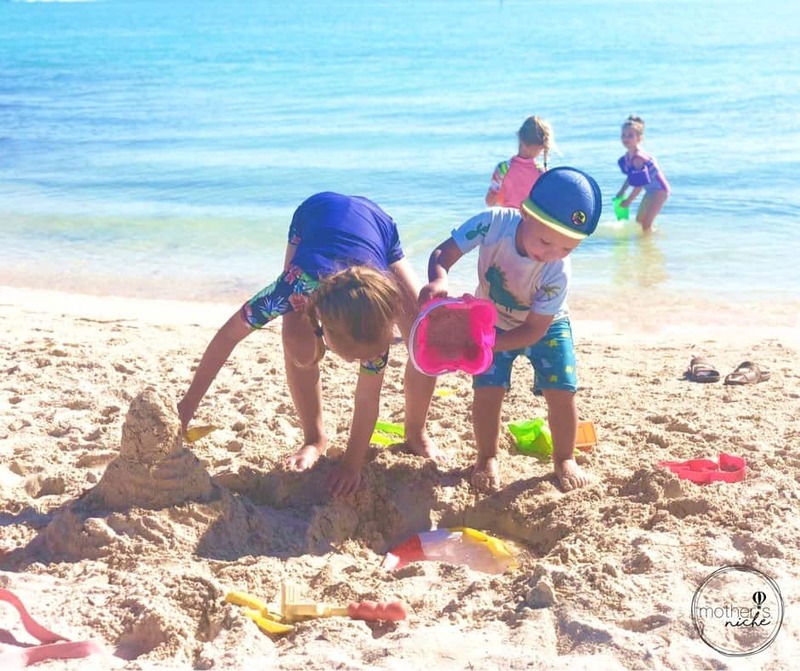 located in Marathon, this is a great family friendly beach with real sand, and shallow beach area for the kids to play around in. 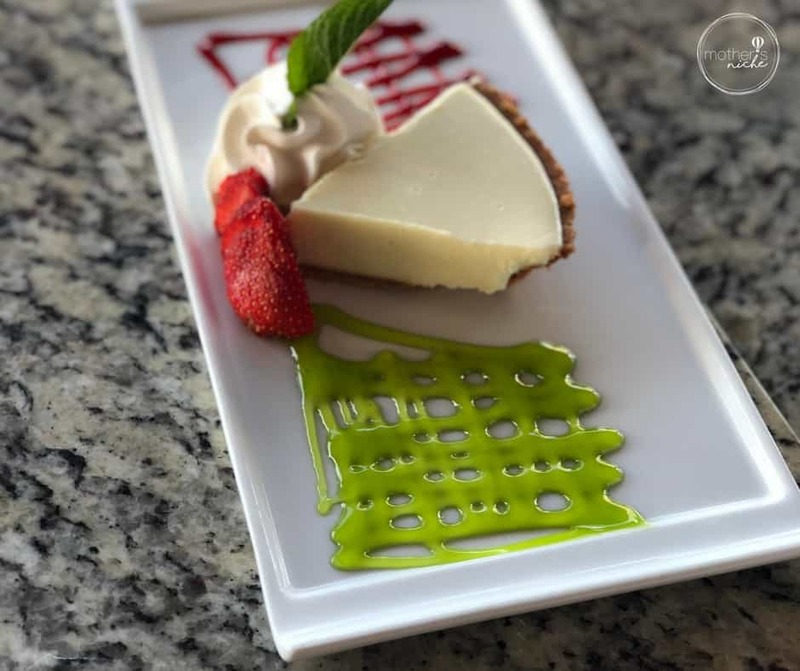 You can’t visit the keys without eating some key lime pie! We had our first slice at the Lighthouse Grill, a beautiful restaurant that we ate at following our visit to the Turtle Hospital (the view is awesome and the food is wonderful)! 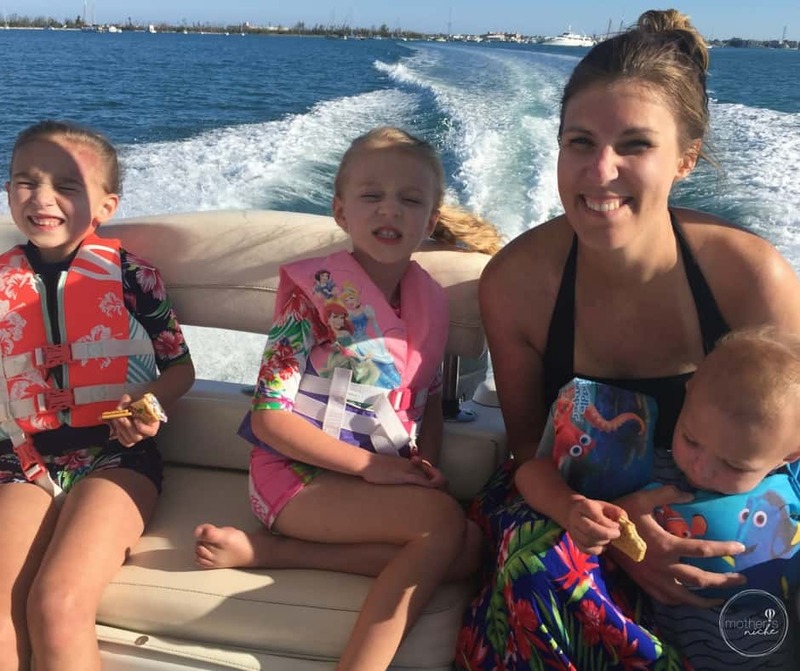 We chose to do Fury Catamarans (located in Key West),under recommendation of another blogger and this was one of our favorite experiences! 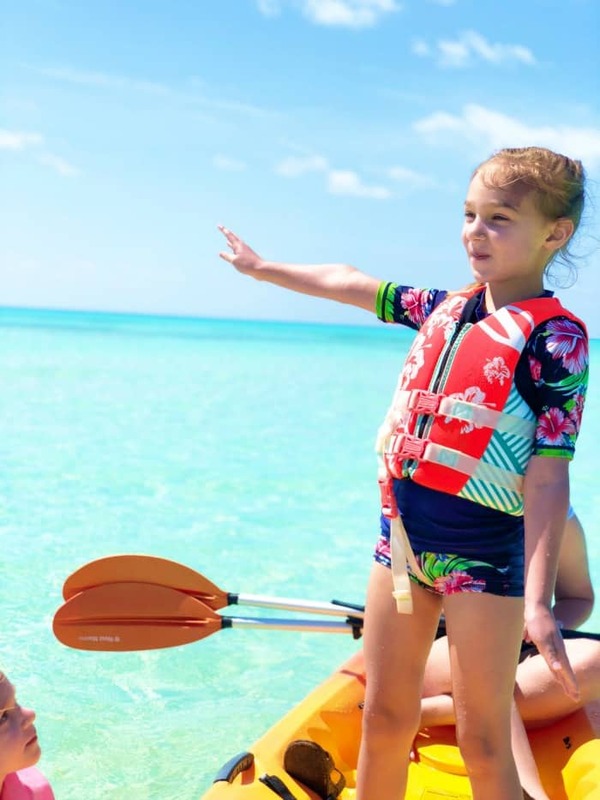 They offer a wide variety of activities, but we chose the island adventure eco tour, which included snorkeling, kayaking, and even paddleboarding. Our kids loved it! Key west has over 200 restaurants and bars and over 100 shops, and many of them are packed into into Mallory Square or Duval Street. For recommendations on restaurants, see our guide, what to eat in Key West. 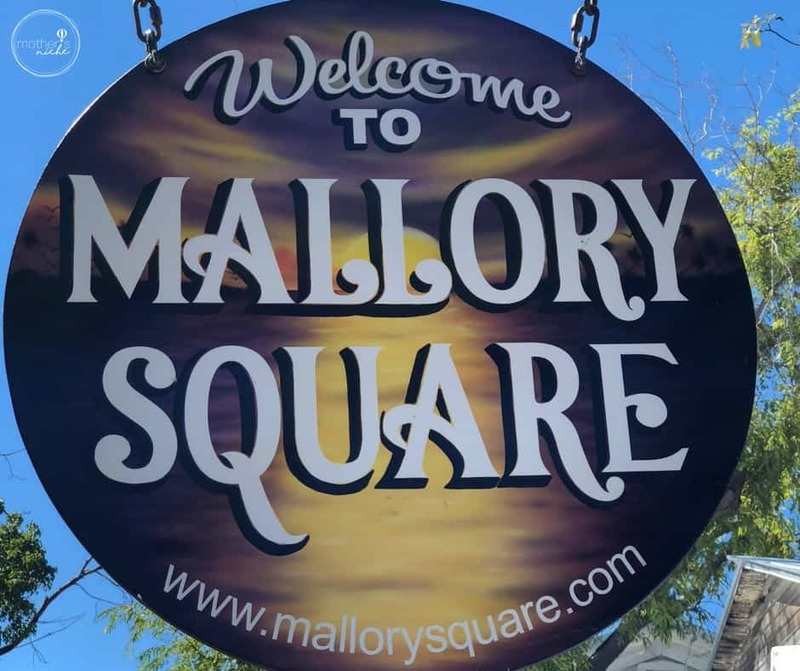 Attend the Sunset Celebration at Mallory Square. Mallory Square’s sunset celebration was a really fun way to spend our first evening in Key West. We loved watching the street performers do crazy acts, and the kids liked walking around the souvenir shops. Key West Butterfly & Nature Conservatory. 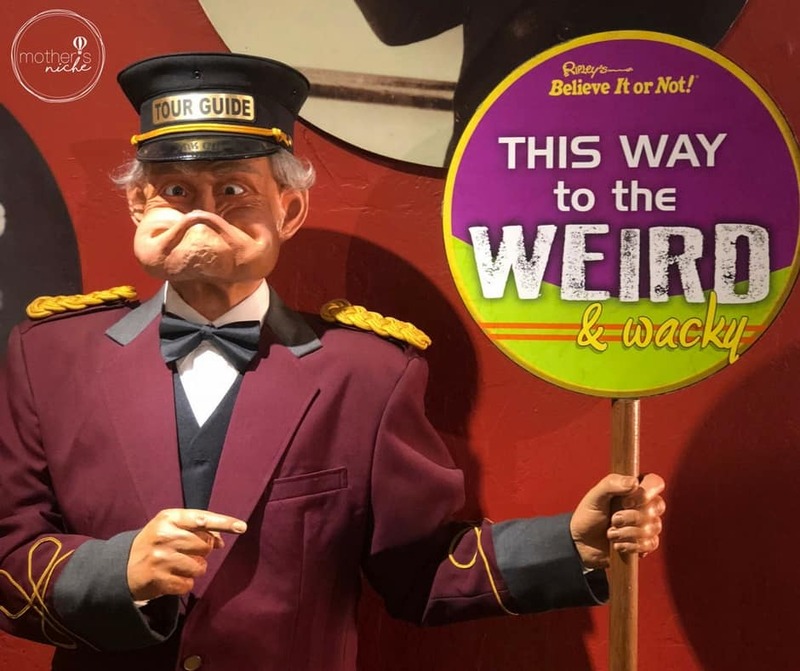 Being rated #1 on Trip Advisor, you should probably put this one on your list. It houses 50-60 different species of butterfly, as well as plants trees and birds, all in a climate-controlled glass-enclosed habitat. This one is fun, but probably more so for older kids. our girls (4 & 6) were a little scared. This was another favorite thing because of our love for dolphins, and also because there’s just something about being on a small private boat out in the middle of the ocean. So fun. 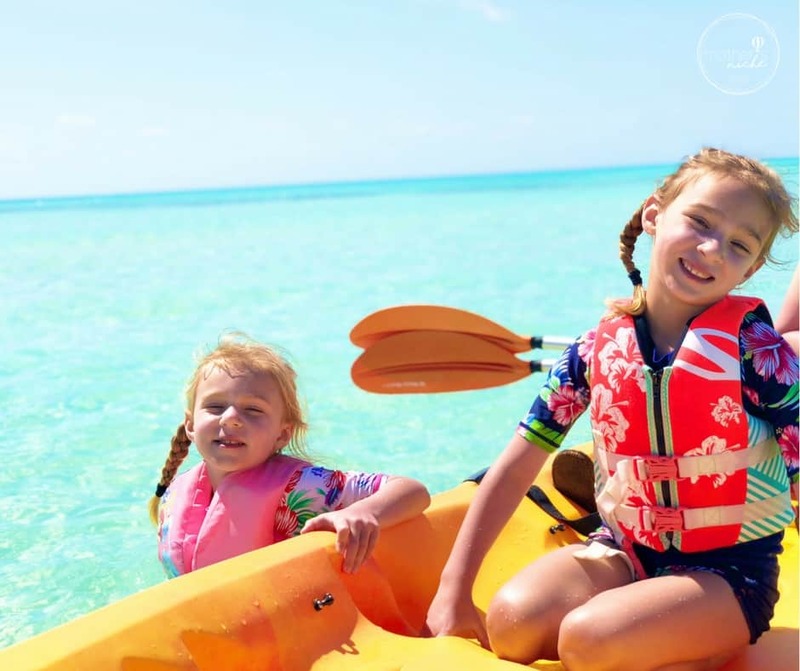 We went with Dolphin Safari Charters because they embarked right from the Marina at our hotel (Perry Hotel), and we had such a wonderful experience. Our captain Ashley was amazing at tracking down the dolphins! And my last favorite tip is very simple: enjoy a frozen drink! 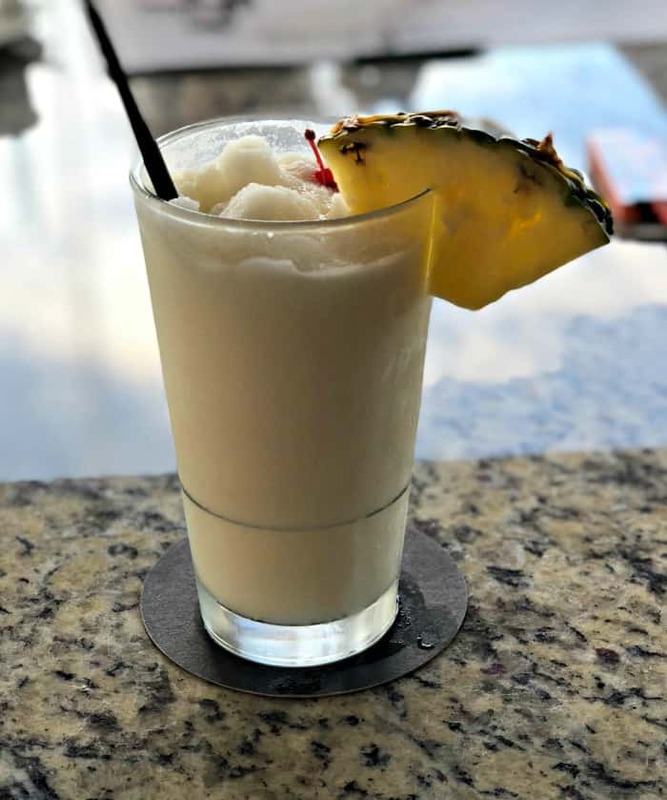 I love going on warm vacations and my kids get really excited knowing they get to have a “fancy drink” (aka Piña Colada). There’s just nothing like soaking up some warm weather with a tasty frozen drink in hand! This particular one was ordered at the Lighthouse Grill in Marathon. Here are some things that were on our list of things to do, that we ran out of time for. 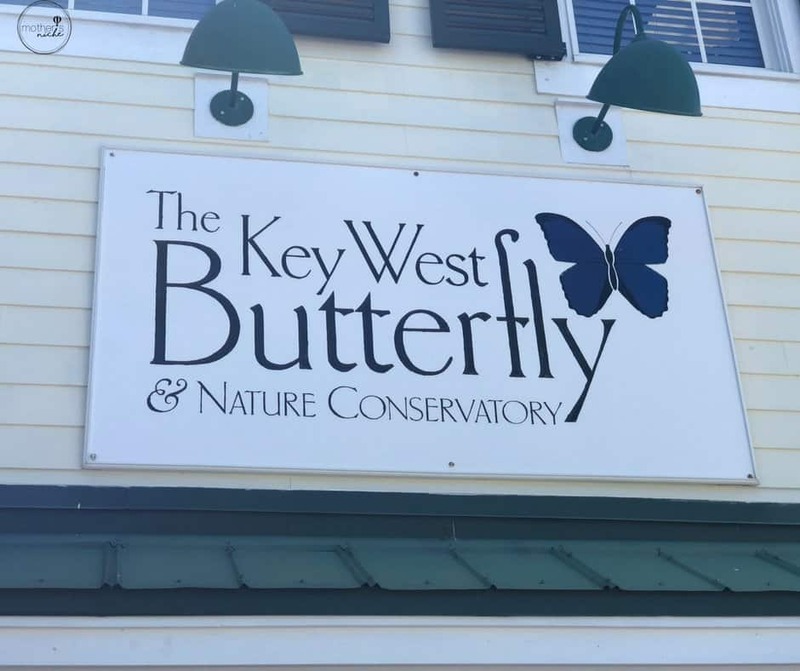 Florida Keys Eco Discovery Center.The Eco-Discovery Center features more than 6,000 square feet of interactive exhibits, which interpret the resources and management efforts of Florida Keys National Marine Sanctuary, two national parks, and four national wildlife refuges. Not to mention Parking and Entrance are FREE!!! 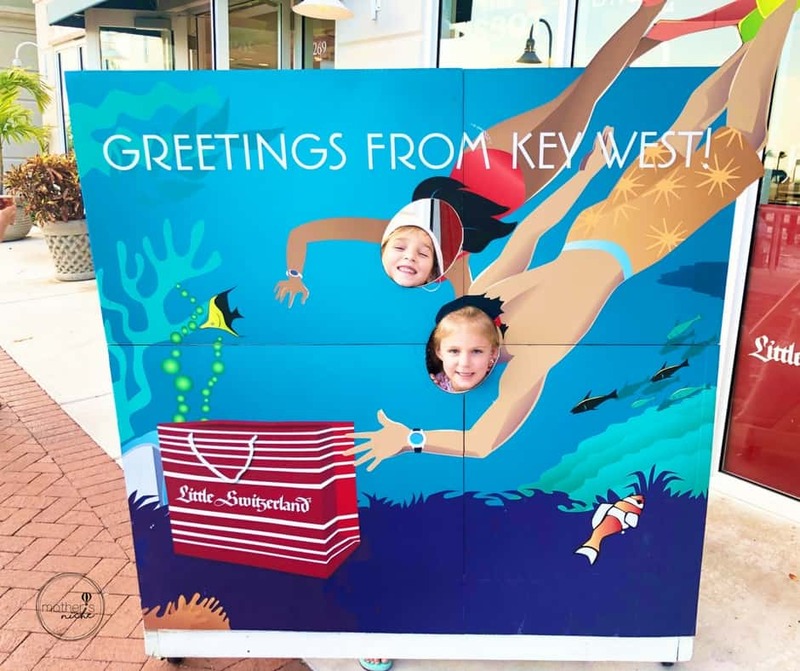 Key West Aquarium: located in famous Mallory Square, the Key West Aquarium is one of the islands most popular and historic attractions, especially if you have kids. Go Fishing. If your kids like fishing, The Florida Keys are a great place to do it! check out this list of fishing Charters and Tours available, or if you want a free option you can do Long Key Bridge Fishing. If you’re looking for a beach in Key West, Smather’s Beach and Fort Zachory Taylor Historic state Park are both great options. We avoided Smather’s on our trip and went to Sombrero in Marathon because it was Spring break and we wanted to avoid all the spring break crowd. Bahia Honda State Park, is also worth a visit and has 2 wonderful beaches. The Old Seven Mile Bridge. This bridge was once Henry Flagler’s railroad, which ran from 1912-1935, and makes for a scenic walk or bike ride. Walk over the bridge and over to Pigeon Key island. We also wanted to check out the Key West Shipwreck Treasure Museum, but sadly ran out of time. 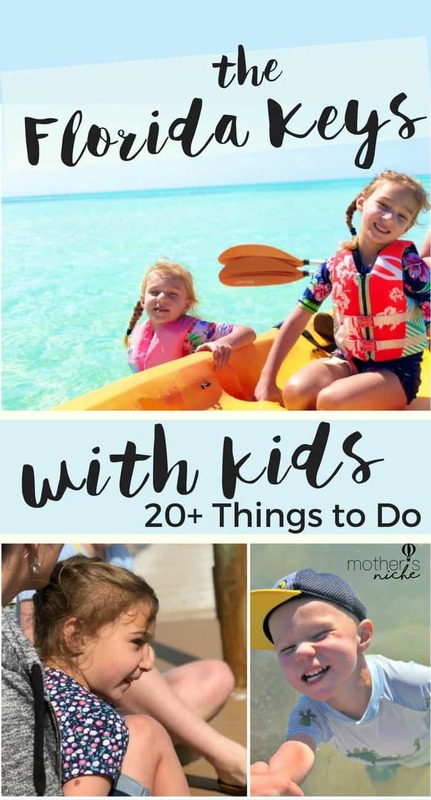 We hope you enjoyed these tips and consider doing the Florida Keys With Kids yourself! I was glad we did something besides theme parks this time, and the kids absolutely LOVED our time in the Florida Keys! If you are planning a trip, the Florida Keys Visitor Website is a great resource as well!